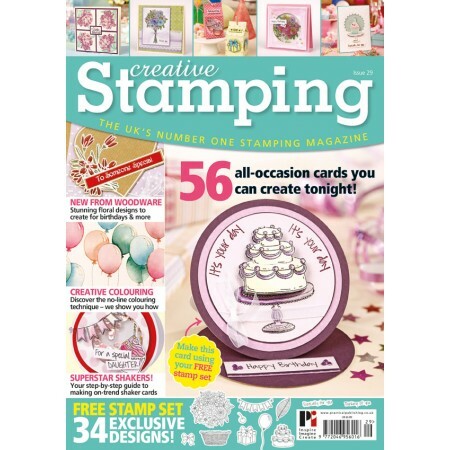 Creative Stamping 29 comes with a fabulous FREE Family Celebrations collection stamp set featuring 24 exclusive designs! 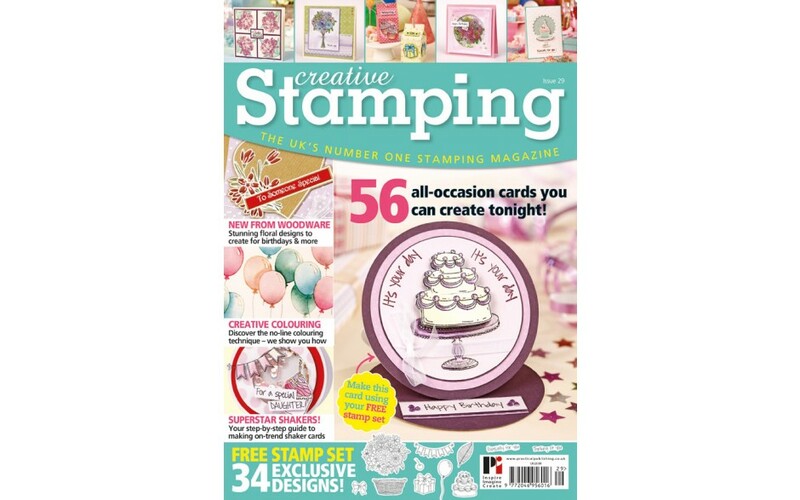 Create projects for all occasions using the mix-and-match sentiments. Fun interactive cards for you to try tonight! Win Spectrum Noir Sparkle pens and much more!